Note: This example is abstracted from the forum, which was done by Charles Gantt. Thanks for his contribution.Let's see how it works. 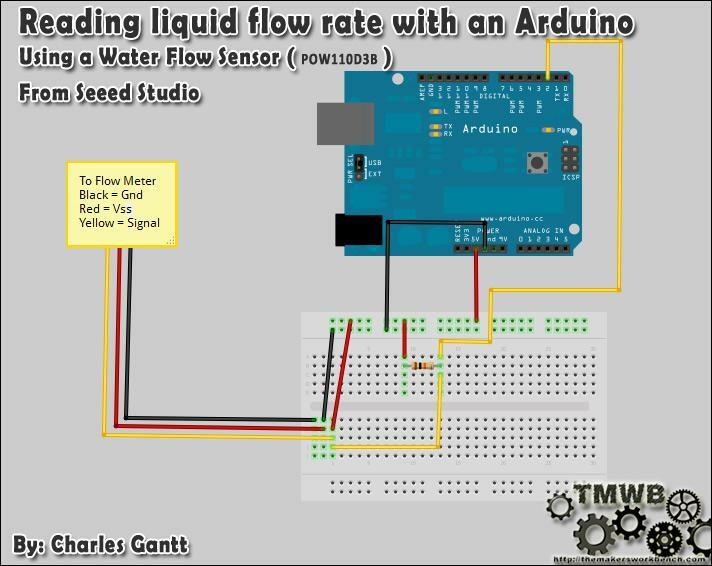 This is part of a project I have been working on and I thought I would share it here since there have been a few threads on how to read water flow rate in liters per hour using the Water Flow Sensor found in the Seeed Studio Depo. It uses a simple rotating wheel that pulses a hall effect sensor. By reading these pulses and implementing a little math, we can read the liquids flow rate accurate to within 3%. The threads are simple G¾ so finding barbed ends will not be that hard. You will need Seeeduino / Arduino ,Water Flow Sensor,10K resistor,a breadboard and some jumper wires. Wiring up the Water Flow Sensor is pretty simple. There are 3 wires: Black, Red, and Yellow. Black to the Seeeduino's ground pin Red to Seeeduino's 5v pin The yellow wire will need to be connected to a 10k pull up resistor.and then to pin 2 on the Seeeduino. 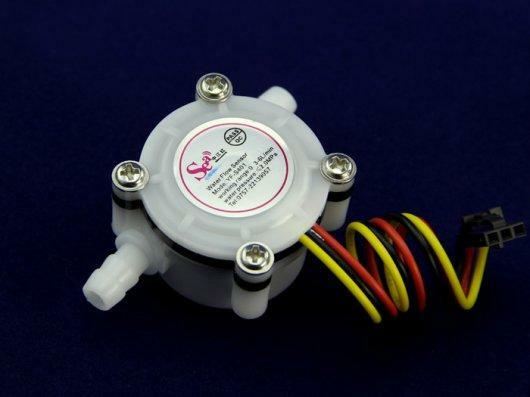 You can refer our forum for more details about Reading Water Flow rate with Water Flow Sensor.